Jeffrey Loria, the soon-to-be-former owner of the Miami Marlins, has always loved the New York Yankees. He goes to games at Yankee Stadium. And ever since he decided to sell the Marlins, he’s always wanted the franchise to go to Derek Jeter. The Jeb Bush group came and went. The Mitt Romney group disappeared. New York businessman Wayne Rothbaum bowed out. Miami businessman Jorge Mas jumped in late, but didn’t come up with the money. So Loria waited, and waited, and finally, with New York businessman Bruce Sherman joining Jeter’s group, they came up with the minimum price Loria desired at $1.2 billion. The deal was finalized Friday, a high-ranking executive with direct knowledge of the sale confirmed to USA TODAY Sports, but spoke only on the condition of anonymity, since the proposed sale has yet to be presented to Major League Baseball. Sherman will be the control person. Jeter will be the baseball and business man, and everyone in the MLB offices on Park Avenue in N.Y. are ecstatic. 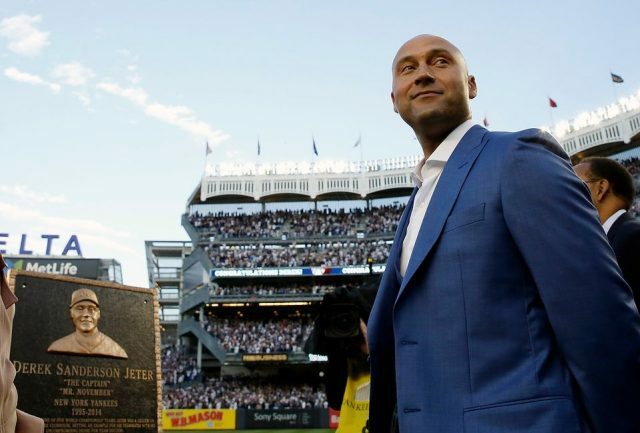 Jeter, one of the iconic names in all of baseball, with five World Series rings and a 14-time All-Star, is back in the game and immediately becomes the most famous face in baseball’s ownership circles, supplanting minority owner Magic Johnson of the Los Angeles Dodgers. Sure, Jeter is only putting in about $25 million of his own cash. Yes, Jeter has zero front office experience. And, yes, the team is in financial disarray, with projected losses of at least $60 million this season while the team already is in about $500 million of debt. Yet, there finally is hope that the Marlins will be a valuable franchise again, knowing that whatever Jeter has touched, whether it’s his Yankee teams, his brands, or even his website, has turned to gold. The news of the sale will surely dominate the MLB owners’ meetings next week in Chicago, but no vote will be taken. Sherman and Jeter still have to meet with the ownership committee, there will be a recommendation, and finally a vote. The deal should be finalized in October, far too late to save this season, but in plenty of time to save the franchise. It’s a happy day in Florida, and throughout the game of baseball. And, just maybe, so are the Marlins.